Do you have a friend that tells you that same old story over and over again? Maybe she can't remember she has already told you the same story. Maybe she just wants to re-live in that moment. By the 101th time, you'd probably let her know in a subtle way that you've already heard the story. I think Pinterest is trying to tell that to us content creators. If you've been religiously re-sharing your old content to the same old boards very frequently, STOP. Earlier this year, Tailwind wrote an article about the latest best practices from Pinterest. When we (the Pinterest industry peeps) hear news from Tailwind, we usually take it seriously because Tailwind works very closely with Pinterest. 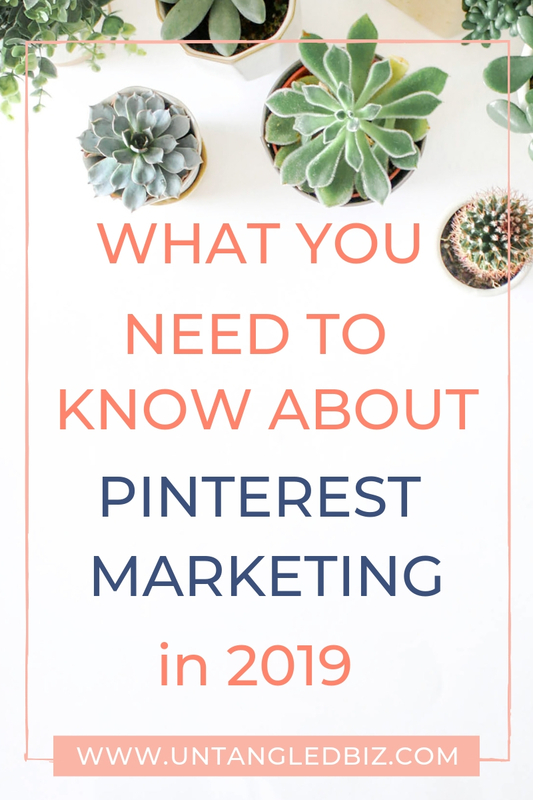 The key takeaway from this article is the importance of creating fresh, new content as a part of your overall Pinterest marketing strategy, and re-sharing old pins less often. Tailwind recommends a minimum of 4 months timeframe before re-sharing the same pin to the same board. According to Tailwind, your pin gets the most traffic boost the very first time it's shared. However, continuing to share the same pin (i.e. same image and same URL) will result in diminishing returns overtime. I agree with this from my own experience. I've seen this with my own and my clients' pins. So then, does it mean that when your fresh new content becomes old content after some pinning, they die a slow death and go to the Pinterest grave? Not exactly. Or that, Pinterest is encouraging quantity over quality of content? Not necessarily. I've still got good news for you, read on. In other words, Pinterest is saying that your pin's visibility lasts for a long time from the first time it's pinned. You actually don't need to re-share it over and over to get it seen by more people. And to bring a new life to your old content, consider creating new visuals (i.e. different images + same URL). I know that this is easier said than done, especially when long-form, quality posts are much more valued in this day and age. If creating content on a regular basis is what you struggle with, I've found this post from Hailey of Your Content Empire very helpful. I used to really struggle with publishing blog posts regularly. I've tried other batching methods, but this was a game changer for me. You may have heard before that creating more pins for the same content/ source URL helps to increase the reach of your pins. There's never been a better time than now to spice up your old content with new pin images. I like to create 3 to 5 pins for each of my posts and release a new pin every week or so. They may not be as fresh as new content in Pinterest's eyes, but they're still semi-fresh. It can be a change in color, text, photo or background. People respond differently to different visuals. If one design or title didn't resonate with your audience, the alternative design might. If you're a service-based business owner like me, it's a challenge to produce new content every week with client work and a few other important things taking the front seat (unless you're a magical content fairy, in which case kudos to you!). Creating different pin designs is an effective way to get more out of your content. If you're already using Tailwind's SmartLoop, change the re-sharing interval to at least 4 months. If you're not using SmartLoop, you should look into it because it's a real time saver. SmartLoop is a feature offered by Tailwind that allows you to automate re-sharing of evergreen and seasonal pins onto boards that you choose. You get 250 free SmartLoops under Tailwind's most basic plan. Last but not least, consistently sharing pins with your audience by pinning daily is the secret sauce to continuous growth with Pinterest marketing. Stick to pinning 10 to 30 pins daily (or more if that's what works for your business). Fill your schedule with your own content and others' content that your audience would love. 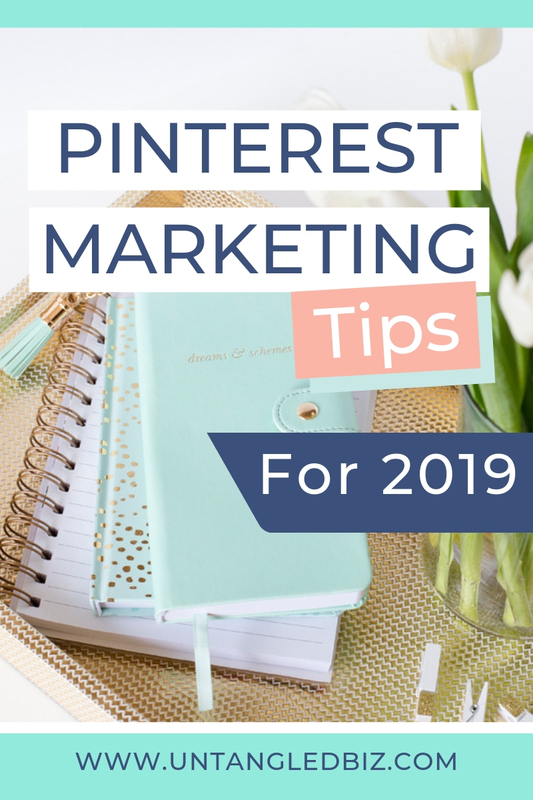 Want to make 2019 the year you get more leads and sales through Pinterest, but can't keep up with all the changes? Get on my list to get first hand updates on Pinterest news, strategy tips and more. Found this content helpful? Pin it!